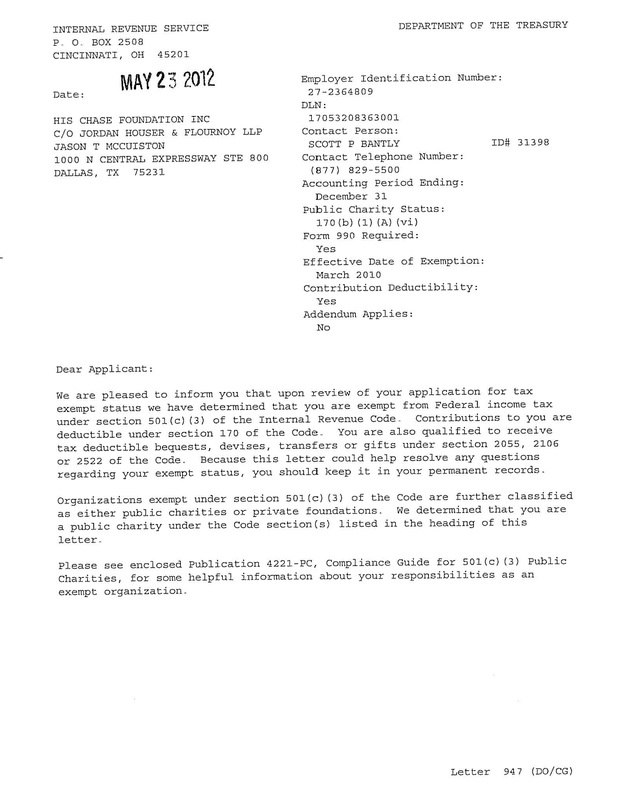 His Chase technically started on September 30th, 2009 but we officially incorporated as a non-profit in March of 2010 and have been in the process of applying for our 501c3 tax exempt status. 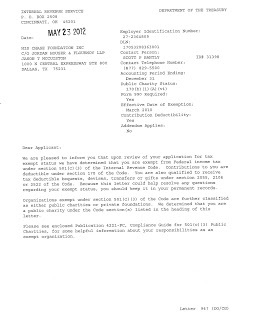 And on May 23rd, we received our determination letter of approval as a 501c3, PRAISE GOD! !Many thanks to Jason McCuiston of Jordan, Houser, and Flournoy, LLP, in Dallas, Texas, for your help with this.